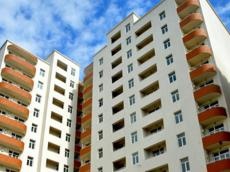 Real estate market is expected to grow 20-30 percent in Azerbaijan in 2019, which will be conditioned by the growth of the purchasing power of the population, representative of the company "Garant Emlak" Bahruz Yusubov told Trend. He said that last year for the housing market was marked by stagnation, and compared with a year earlier, the market shrank by about 20 percent. "I believe that the years 2014-2015 can be considered best times for the real estate market," he said. "Last year can be called not very successful. I believe that this year will be better than the year 2018 for the market, and the beginning of the year is already showing prerequisites for growth." The realtors are faced with the fact that sellers artificially inflate housing prices, and these prices are significantly higher than market prices, he said. "The industry isn’t regulated, as is well known," he noted. "Often, many housing sellers don’t believe realtors when they reveal the recommended cost of housing. This is while buyers themselves are well informed and know the market much better than realtors. Therefore, they don’t buy." Housing under a mortgage loan enjoys the greatest demand in the real estate market, and the average price of housing, which is being acquired, varies within 100,000-150,000 manats, he added. "Foreign citizens also show great interest in the purchase of real estate in Azerbaijan," he said. "Housing is mainly acquired by citizens of Iran and Arab countries."